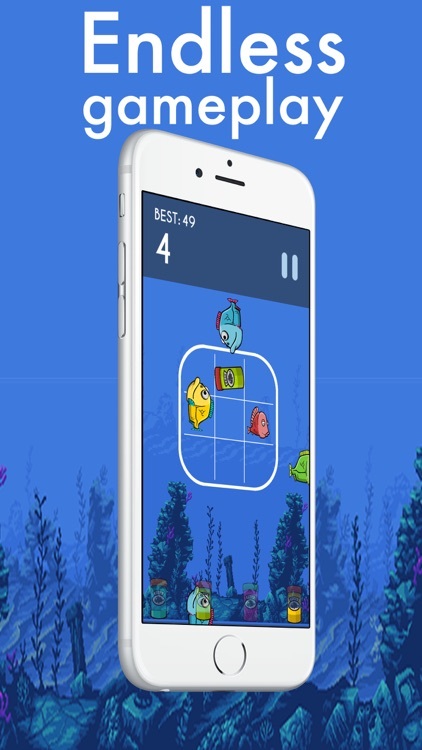 'Vichitra Games' brings one more addictive game, Fish Attack - swipe the fish. 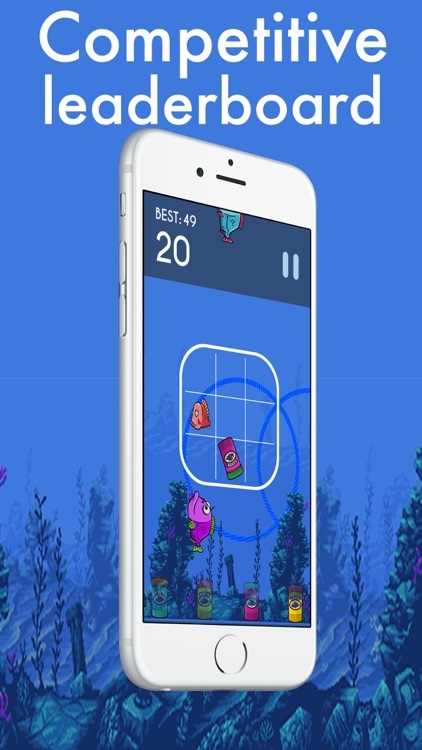 Fish attack is the most addictive game we've published till now. Gameplay area is divided into 9 squares. 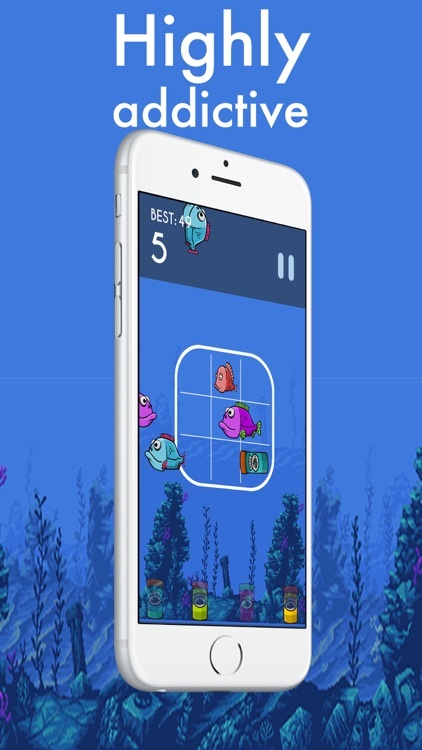 Users can move their fish only in those 9 squares by swiping the finger on screen in respective direction. Enemy fish keeps attacking from all 4 directions randomly. 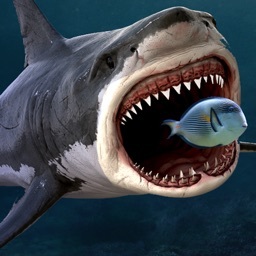 Users need to protect their fish from enemy fish. 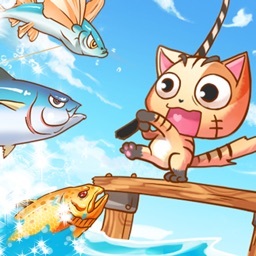 User can collect fish food bottles which are appearing randomly in gameplay area. 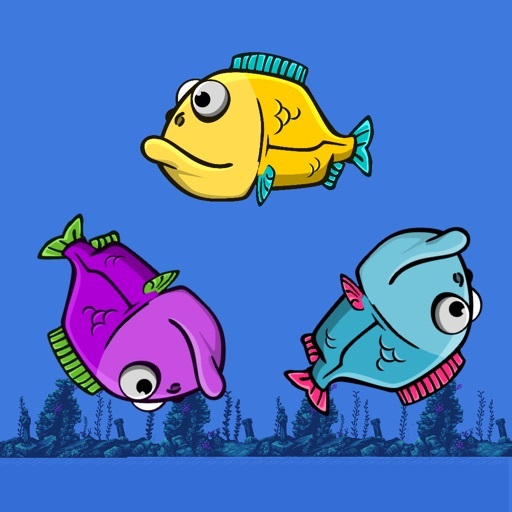 Enemy fishes are of 4 colors (blue, green, pink & yellow). Even fish foods are also in same 4 colors. At the bottom of screen user can see 4 empty bottles of all fish foods. 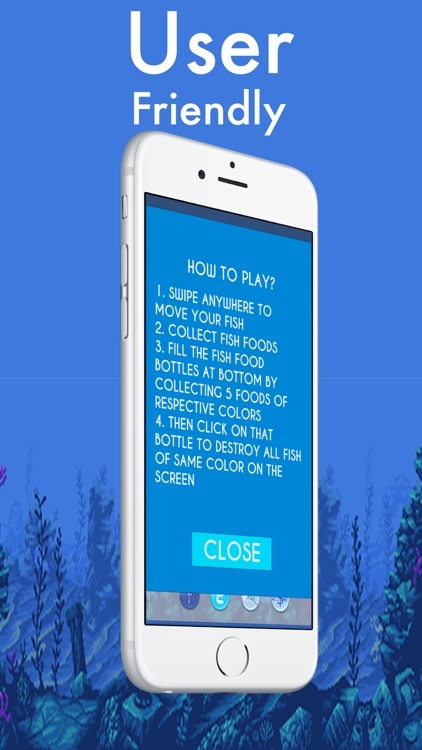 When user collects 5 fish foods of same color, the respective colored bottle at the bottom fills up. User can use this filled up bottle against enemy fish of same color. When user taps on this bottle, all enemy fish of respective color on the screen gets destroyed. Score of user increases upon collecting each food bottle. Primary target of user is to collect more and more fish food bottles. 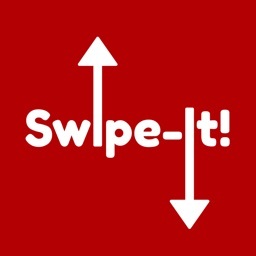 Its an endless game where user competes with other users around the world on native leaderbaord. We are promoting 'Swachh Bharat' campaign through our games. This is a small contribution from our team being a citizen of India. We will continue promoting it in all our made in India games. 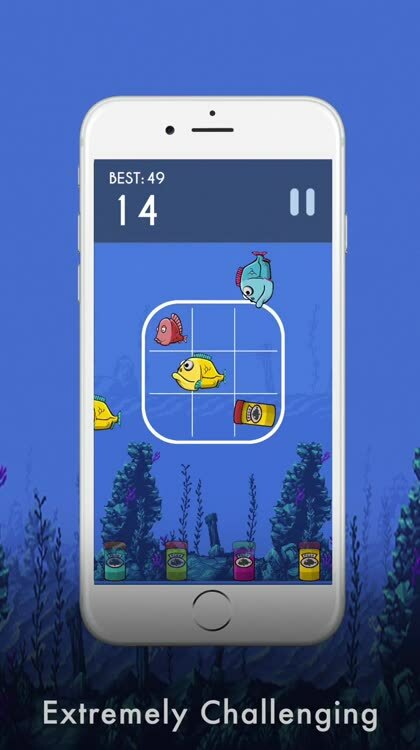 One can see the logo of 'Swachh Bharat' at the beginning of 'Fish attack' game. 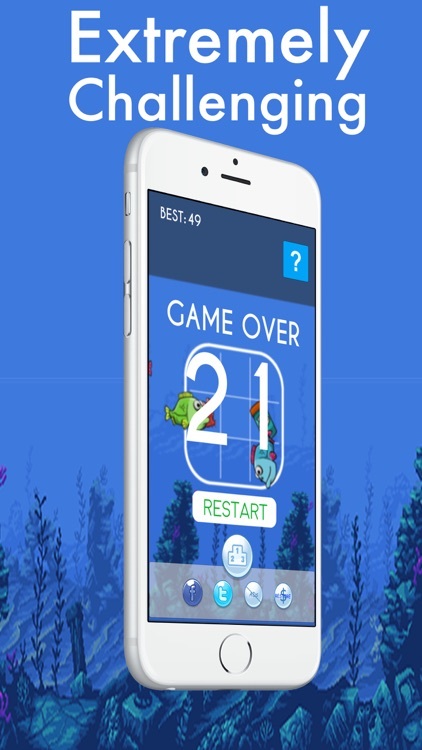 We did receive feedback from beta users on Fish attack game. 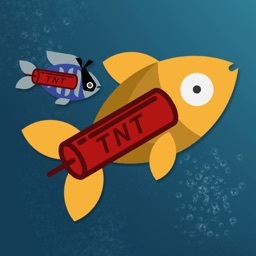 One user said, "Never thought that the concept like this would come as a game with attacking fish. Its very easy to understand & challenging to play. I played this game almost for 15-20 times in a day. While travelling to office, while having breakfast, tea, lunch etc. I even played it during boring meeting in office! Looking forward for the release of this game so that I can compete on the leaderboard against users around the world"
So what are you waiting for! 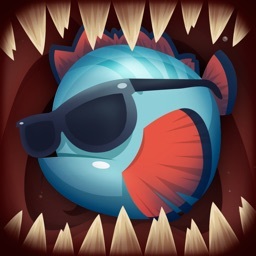 Download 'Fish attack - swipe the fish' for free now !